The Beatles: Yellow Submarine Sing-Along! The fun part of our day? 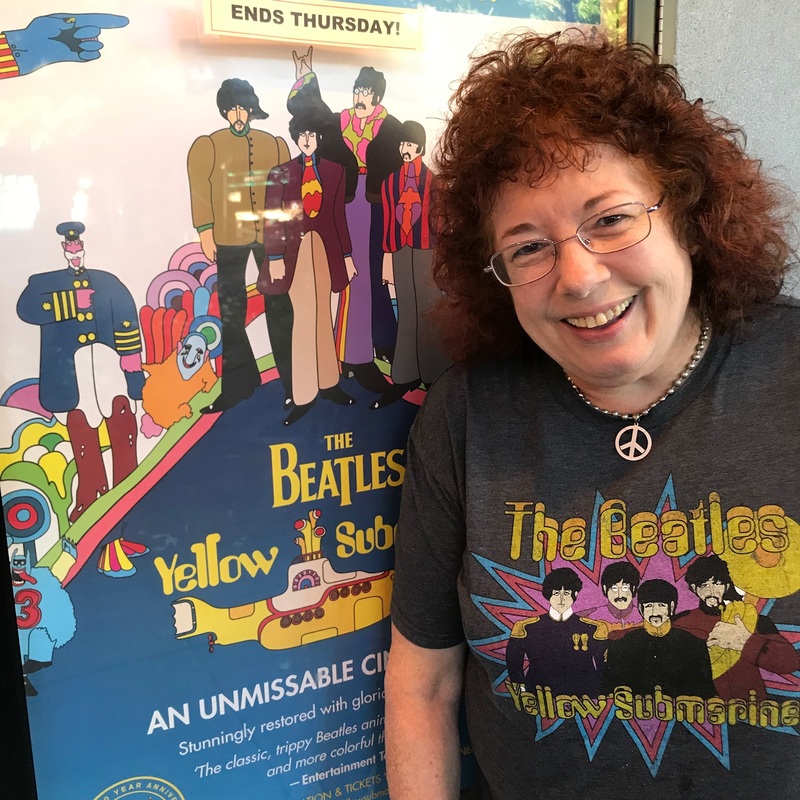 We went to see The Beatles: Yellow Submarine Sing-Along on the big screen! 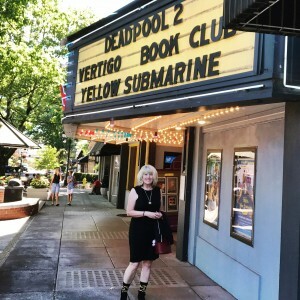 It was playing at the Liberty Theatre in Camas, Washington today. And we're both so glad we went! Before the movie we stopped at a nearby coffee shop -- and when we walked in "All You Need is Love" was playing! The young woman running the shop was taking her five year old daughter to see the film, and was very excited! Anyway, we loved it and had a great time. We sat in the center when we went in, and people were coming over to sit by us. There weren't many of us there, but we were all singing loudly! Tonight we decided to buy "Mamma Mia" and (finally) watch it after all this time! Getting ready for the next film. We loved that, too, of course. I hope Marilyn feels better soon! Our friend Rich was recently in Las Vegas for a family reunion. While there he went to The Beatles store and got each of us a pair of socks! Wasn't that sweet? 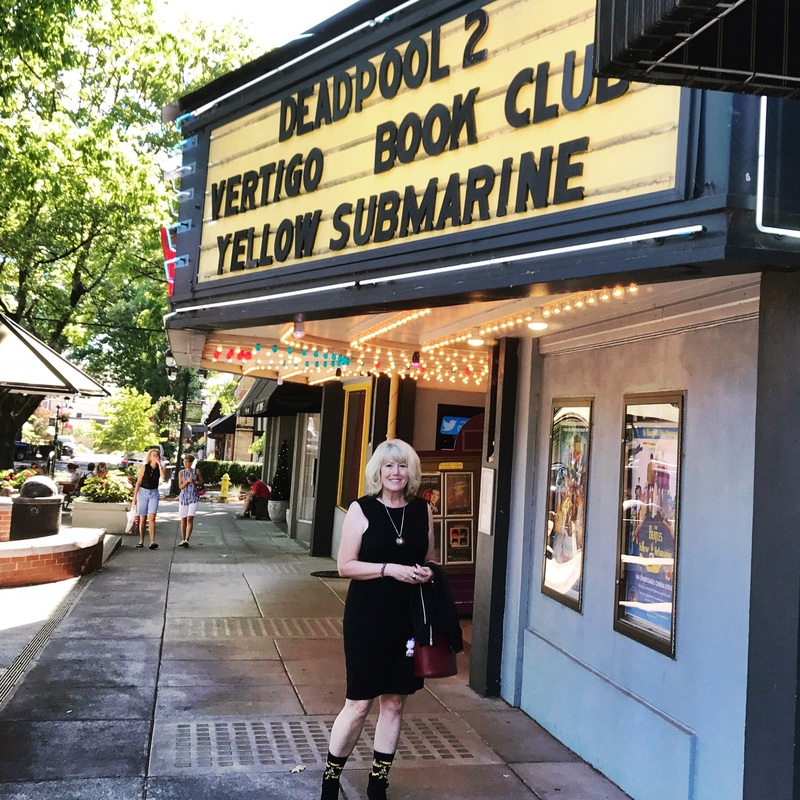 Marilyn wore her Yellow Submarine socks to the movie! Happy you were able to get out and have some fun! My husband still has pain from his shingles(phn) and imagine he always will...hope yours goes away eventually! Sorry for the continued pain!